Note- The list does not aplly to the very top laptops but a top 10 from all the previous categories posted before. Toshiba have really created quite a stellar device in the Portege Z30T-A. It?s almost an ideal laptop because it is very light, comfortable, portable, has great battery life, a great keyboard and a lovely screen. It?s only let down by its very high asking price and somewhat bad touchpad. If you can afford it, this is the laptop you should be aiming for. The Yoga 2 is a great convertible laptop, and a fantastic ultrabook to buy. It features a gorgeous screen, excellent ergonomics, average battery life and great build quality. And it’s not short on hardware firepower, either, letting you use it as a work or home ultraportable. Highly recommended if you want a laptop within Rs.60,000. Toshiba Satellite P50t-B Y3110 looks premium with its brushed aluminium chassis that sports a satin gold colour. The device looks and feels larger than life with its big 15.6-inch panel and wide form factor. It’s also not lightweight at 2.35Kg. Toshiba has overtaken others with the launch of its 4K (Ultra HD) laptop Satellite P50t-B Y3110. It has not just demonstrated it but has also made it commercially available. It’s commendable that the Japanese giant has made the device available in the Indian market soon after its international launch. Is Satellite P50t-B Y3110 a revolutionary laptop? We try to find out in our review. In terms of hardware specifications, the Satellite P50t is a beast. It comes with top of the line hardware including a 2.5GHz 4th Gen Intel i7-4710HQ processor, AMD Radeon R9 M265X graphics and 16GB RAM. It comes with a 1TB hybrid hard drive out of which 8GB solid state storage is dedicated to the system for boosting performance and a speedy boot. Given the large size of 4K files, the 1TB hard disk is more of a necessity than a luxury. If you’re looking for a sub-1 lakh rupee gaming behemoth, definitely consider the Lenovo Y50-70, a great gaming laptop at the price. Just take a look at its specs: Full HD 15.6-inch screen, Intel Core i7-4710HQ chip, 8GB DDR3 RAM, 1TB HDD + 8GB SSD, and NVIDIA GeForce GTX 860M graphics with 2GB GDDR5 memory. It’s specs are very similar to an entry-level Alienware priced a lot higher. Let’s just say that you won’t be disappointed while gaming on the Lenovo Y50-70. 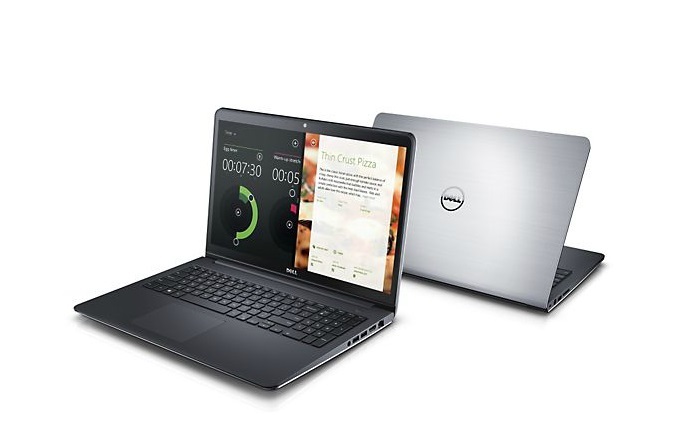 Sporting a full-HD display, Intel Core i7 chip, 8GB RAM, 1TB HDD, and AMD Radeon HD R7 M265 graphics with 2GB RAM, the 15-inch Dell Inspiron 5547 is a great all-rounder of a laptop at its asking price. It looks good, can handle whatever you throw at it, and is just a top laptop, all things considered. One of the best sub-50k laptops out there, the HP Pavilion 15-p001tx. It has a nice form factor, an Intel Core i5 chip, oodles of RAM and storage, and NVIDIA GeForce GT 830M graphics with 2GB dedicated memory. It has all the connectivity ports built-in, too. Doesn’t step a foot wrong and offers everything a really good laptop should at its asking price. A plain jane 15-inch laptop that offers a solid buying proposition under 40k. The Acer Aspire E1-572 has everything essential covered, if you’re trying to buy a budget laptop. Good specs, a host of connectivity options, full keyboard with dedicated number pad, and it isn’t heavy at 2.3 kg either. A pretty good budget laptop that doesn’t feel it’s cutting any corners. The Dell Inspiron 3542 is a 15-inch laptop that’s worth considering if you’re looking to purchase a laptop under a budget of 40k. It has a latest generation Intel Core i5 chip, 4GB RAM, 500 GB HDD, and onboard Intel HD 4000 graphics. Nothing fancy, but a great combo at the price. 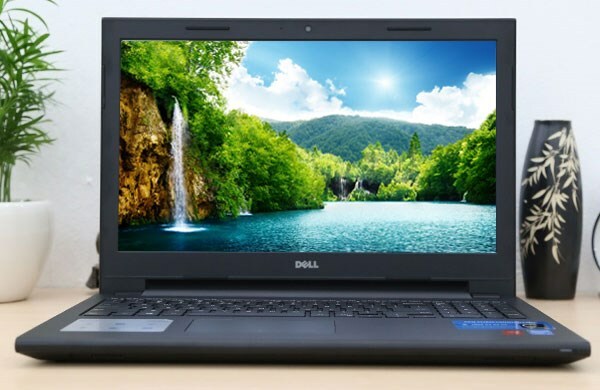 Definitely a laptop worth buying at its price, if you have a soft spot for Dell. At 35k, if you need a quad-core AMD processor equipped laptop that also has AMD Radeon HD 8570M 2GB DDR3 graphics, then look no further than the HP 15-G002AX, sporting the best configuration at its budget, compared to any other laptop. It also comes with Windows 8.1 64-bit OS, dual-HD audio speakers, and other connectivity ports you’d come to expect from any self-respecting laptop. Buy this, upgrade the RAM to 8GB and you will have a powerful laptop on a low budget. Which laptop out of the list mentioned will provide good battery backup and has low heating issues?